This Viper 20" AS530R automatic rider floor scrubber is a game changer! It offers the portability of a walk behind unit and the convenience of a rider. Never before has there been a 20" rider scrubber. 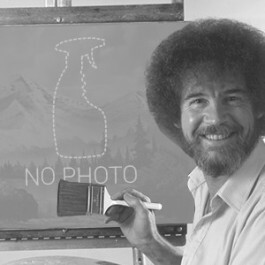 Most manufacturers have always only offered large machines with anything from a 26" to 40" scrubbing path. 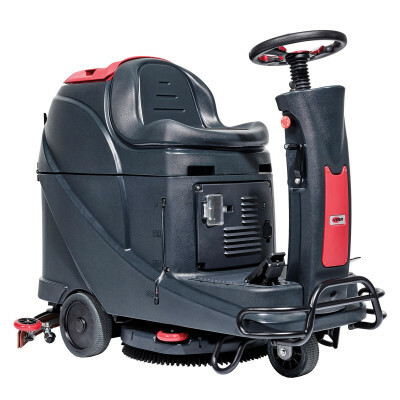 Great for medium to larger sized scrubbing areas as it can scrub up to 32,560 ft²/hr. You can have complete confidence when ordering this machine from us as it comes backed by a 8 year warranty on the body, 5 years on parts and 2 years on travel. Many facilities like warehouses and hospitals love this unit because of how compact it is. It can easily fit through standard doorways, and with a 19 gallon solution tank, you can scrub large areas with little to no down time. The Viper AS530R ships for free to any location in the continental United States! Not sure if this auto scrubber is the right unit for your needs? Give one of our experts a call at 888-722-5508 to see if we have a better fit for your specific cleaning situation. 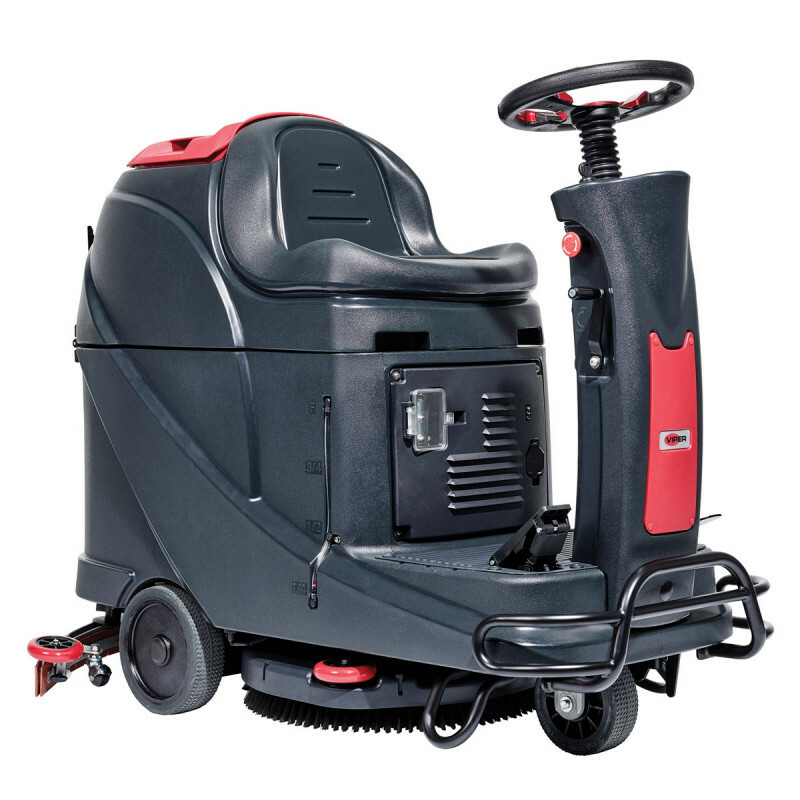 Other rider options in the Viper line are the AS710R 28" scrubber, which along with this machine, can be seen in our automatic ride on scrubbers category. 3 hour run time with a max productivity rate of 32,560 ft²/hr., means you can nearly scrub a 100,000 ft² facility on a full charge. 20 inch scrub width & a 19 gallon solution tank maximize the compact body of this auto scrubber to give you the most bang for your buck. Extremely versatile and can clean tiled floors, vinyl, sealed wood, marble, concrete and many other surfaces. With a noise level of 69 dB(A), you can use this scrubber during business hours, as the noise level is equivalent to a vacuum cleaner or a dishwasher running. User-friendly dashboard allows for any user to quickly hop on the auto scrubber & immediately start cleaning. Comes standard with a squeegee assembly, pad driver, batteries & charger. Backed by a 8 year warranty on the body, 5 years on parts, 2 years on labor, batteries are prorated for 18 months & travel is covered for 180 days. Customers who were interested in the Viper 20" AS530R™ Micro Rider Floor Scrubber were also interested in the following items. This is a review for the Viper 20" AS530R™ Micro Rider Floor Scrubber.